Tropical Journal of Natural Product Research is a peer-reviewed, open access online international journal which publishes original research papers. The journal welcomes submission from scholars and experts for possible publication from all over the world. The scope of the journal includes: Pharmaceutical research, chemistry and biochemistry of naturally occurring compounds, biological evaluation of crude extracts, ethnomedicine, traditional and complementary medicine, ethnopharmacology, biomedical research, Biotechnology, Evaluation of natural substances of land and sea and of plants, microbes and animals, pharmacognosy, bioavailability, clinical, pharmacological, toxicological studies and pharmacokinetics of phytochemicals, Isolation and characterization of compounds, structure elucidation, synthesis and experimental biosynthesis of natural Product as well as developments of methods in these areas are welcomed in the journal. Finally, research papers in fields on the chemistry-biology boundary, papers discussing the screening of natural Product for biological activity against different health targets are also encouraged. Tropical Journal of Natural Product Research now accepting new submissions. Submit your best paper via online submission system. For general comments and feedback about this site please fill out our feedback form. 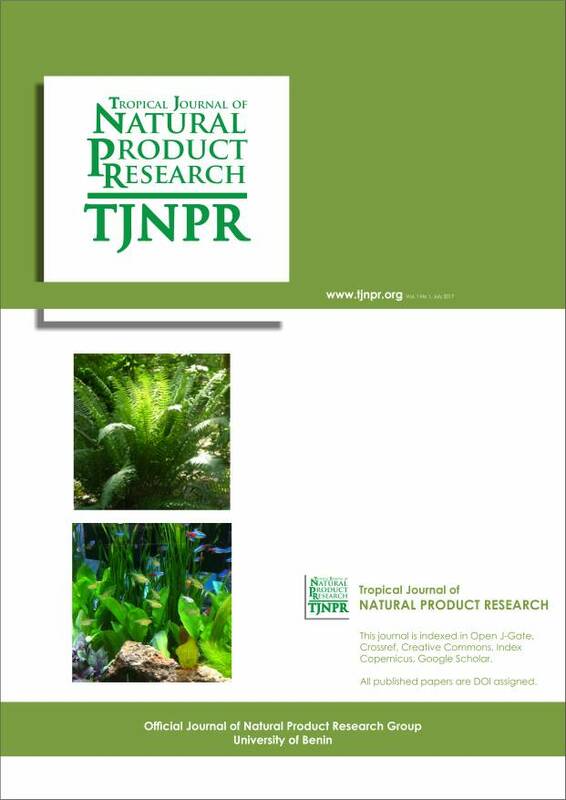 Tropical Journal of Natural Product Research(TJNPR) will be published monthly, and available in both printed and electronic formats.